If you can believe it we are in the home stretch of my Pixar reviews. Only 5 left till Good Dinosaur and Sanjay’s Super Team. I’ve been reviewing the Pixar films since April and it has been a real treat and challenging because it’s hard to write about movies you really love and have it not just be hyperbole. At least it is for me. Well, today we have a very special animated short to talk about. One of my favorites- La Luna. It is directed and written by Enrico Casarosa and was based on the Italian fairytales his Grandpa would tell him. He also used Italian cartoonist Osvaldo Cavandoli who was famous for his line sketch style animation as inspiration. 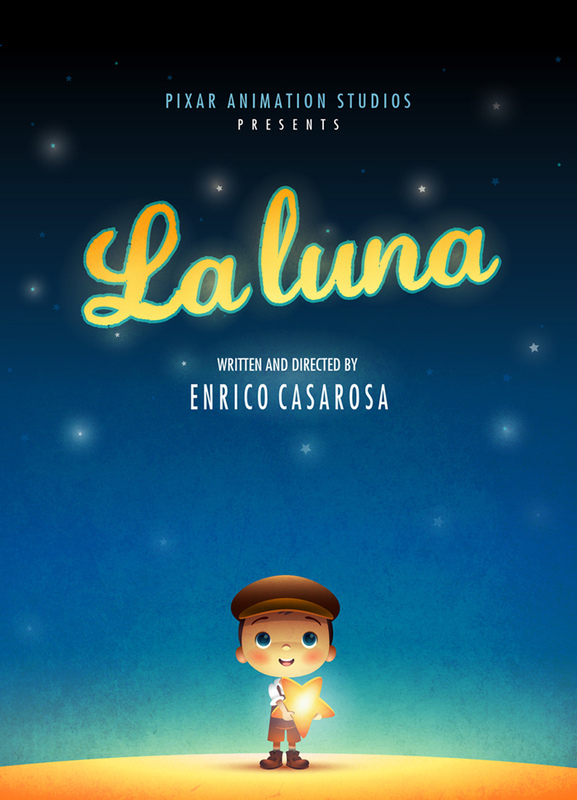 La Luna is about a little boy or Bambino who sails with his Grandpa and Father to a spot where they climb a latter to the moon and set about their work of scraping the stars from off the moon. (Doesn’t that description just sound lovely?). In the audio commentary Enrico says he picked a Grandpa and Father for the boy because he grew up in a house with his maternal grandfather and his Dad and I guess the two didn’t get along very well. You can see that dynamic in the short with the 2 men snipping at each other in a sweet kind of way. But really the greatness of this short is in the animation. The stars and the light is so beautiful. In many ways it feels like a bedtime story, like Goodnight Moon or something like that. It’s lovely to think about someone sweeping stars off of the moon. Michael Giacchino gets back to his Italian roots with a lovely score that reminds me of the great Ennio Morricone. There are moments where it looks like watercolor and where the characters look more 2D than CG. There are no other words to describe it but BEAUTIFUL! I love the way the stars look like little light bulbs and clank together. In many ways they reminded me of the memories in Inside Out in sound and appearance. 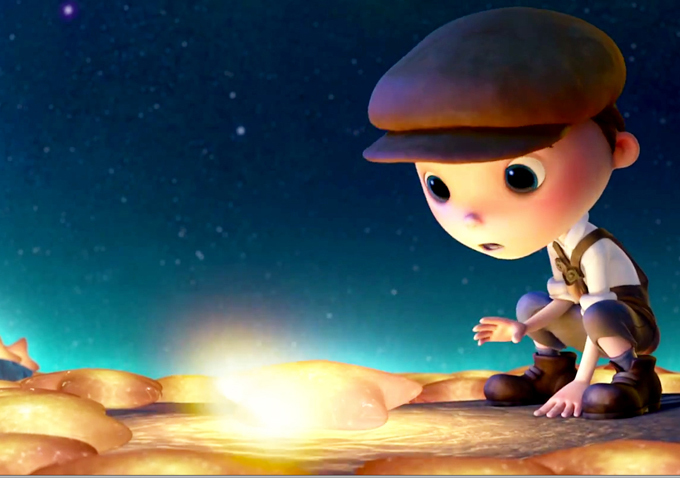 You can feel the sense of wonder from Bambino as he looks at each glowing star. This is just a stunning image. It’s not the most complex as far as story. It’s basically a Grandpa and Father showing a little boy how to do a job but that job is so magical and special that it doesn’t need anything more. It’s like if someone’s job was to bathe an angel. Yes it’s ordinary but it’s an angel! I mean wow! As I’ve rewatched the Pixar shorts I can put them into several groups. There are the jokes (Presto, For the Birds, Knick Knack), technology advancing (Adventures of Wally, Tin Toy, Geri’s Game, Day & Night), and great artistry (Boundin, Partly Cloudy, Red’s Dream). To me La Luna is the greatest of that latter group. It is an artistic joy to watch and I love it. Definitely in my top 5 of the Pixar shorts. 2011 was also a very good year for animated shorts. All 4 nominees were completely lovely and the winner The Fantastic Flying Books of Mr Morris Lessmore is wonderful. In fact, I wish it was a feature film. It’s 15 minutes as a short and there’s enough there for more. So the fact La Luna didn’t win that year I am ok with. It certainly was a much better year in shorts than feature films with Rango winning which I did not care for. What do you think of La Luna? If you haven’t seen it there are versions of it online but none that I could download. I believe it is on the Brave DVD so you can see it there. I wanted to do another short before the Brave review called The Legend of Mor’du to go with Brave so that’s why I reviewed this one here. Next up is the much maligned Cars 2. I just watched it and honestly guys it’s not that bad. In fact, I enjoyed it! So you will hopefully enjoy that review as I am sure it will be a perspective you don’t get every day. But nearly everyone I know agrees, La Luna is one of the best. I think this is probably my favorite Pixar short. It’s just so beautiful and I think the story is very sweet. I love it! I agree. Will definitely be in my top 5. It’s so pretty! Couldn’t agree more. It hits on all counts. Welcome to the blog. 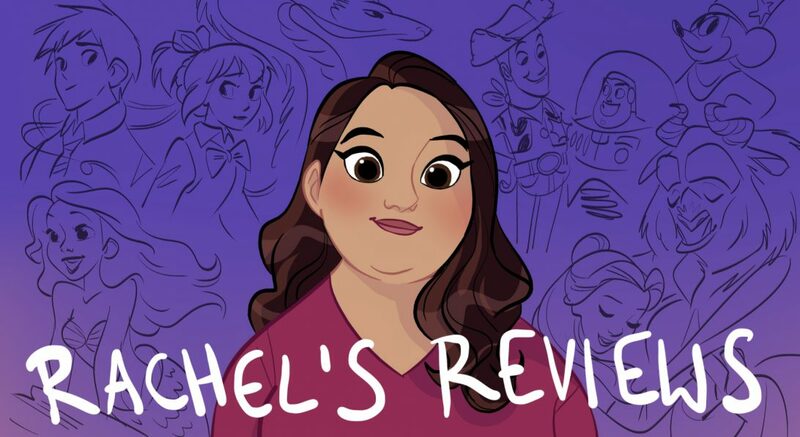 Would love for you to check out the rest of my Pixar reviews. Awesome review once again Rachel! 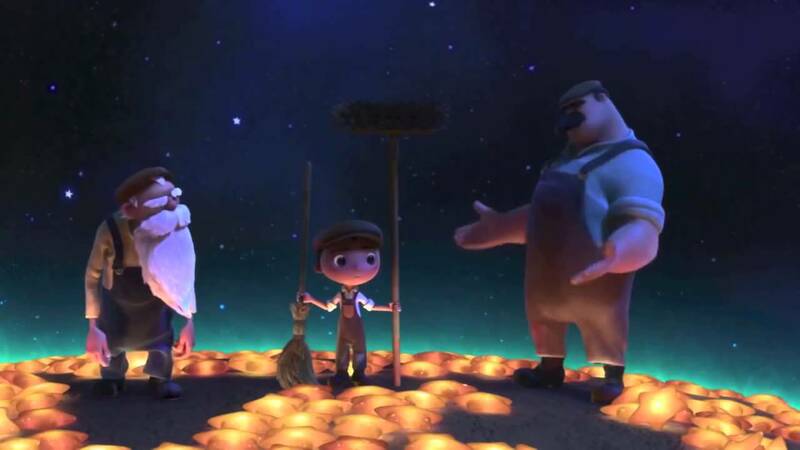 Just so you know, this short film played before Brave while that film was playing in theaters as well, just so you know. Anyway, just thought I’d mention that just in case you were interested to know. Thanks. Yeah like I said in the article I wanted to review this one here because I want to talk about Mor’du before Brave. What do you think of it? I think that should be a great idea.